own. Now you can get one too. The fictional hybrid bird is a symbol of resistance against the repressive Capitol of Panem. Whether you want to secretly pretend you are Katniss, want to embody her spirit, or just like the design this little pin is a delight. 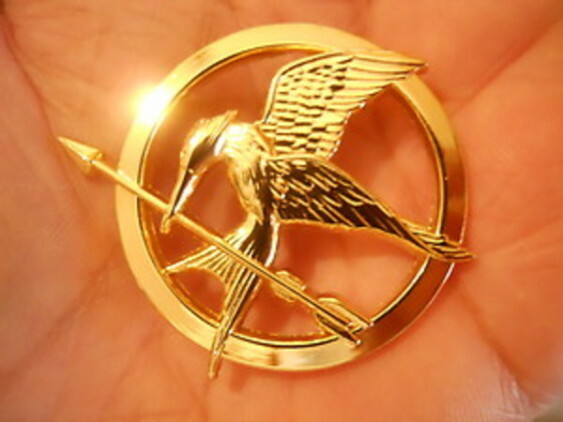 From the National Entertainment Collectibles Association, this gold tone pin is a replica of the one used in the movie, and is copyrighted by Suzanne Collins. This brooch makes a great gift for fans of the books or movie. For more information or to order, click here. Crow and Dog Playing Ball! The Animal Video of the Day!! !